Typography is an important part of any branding project. Logotypes, business cards, marketing materials… It seems like almost everything features some kind of type, and if you want your brand to be high quality, then it needs to be well thought out. 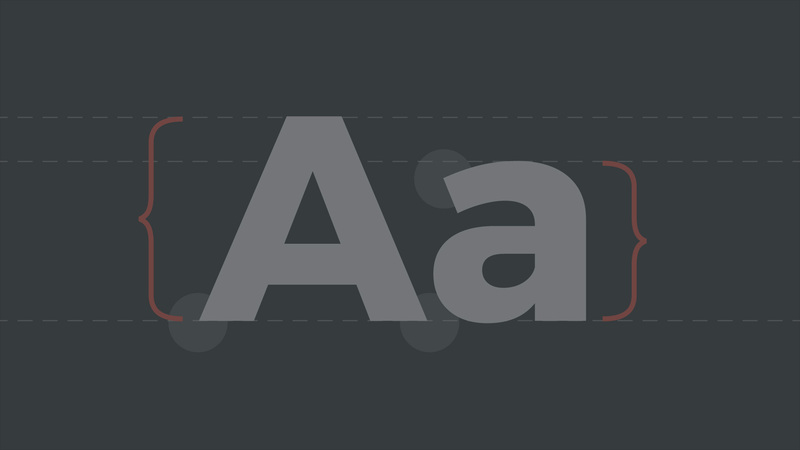 To help you get started, we’ve put together five quick tips in this typography guide that will make sure your type is rock-solid. There’s nothing worse than seeing a design cluttered up with a smorgasbord of fonts. It’s confusing, discordant, and distracting… All things that we want to steer clear of. 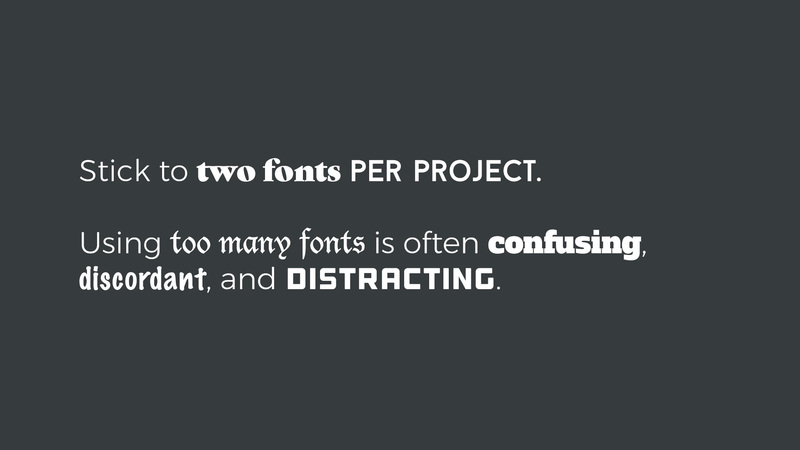 To make sure your typography is clean, professional, and not distracting, try sticking to a maximum of two fonts per project. Three can work, but it’s often not necessary, and using any more than that is generally going to cause issues with readability. Using different font weights is a great way to create visual hierarchy and contrast in a design, but it can be a slippery slope. 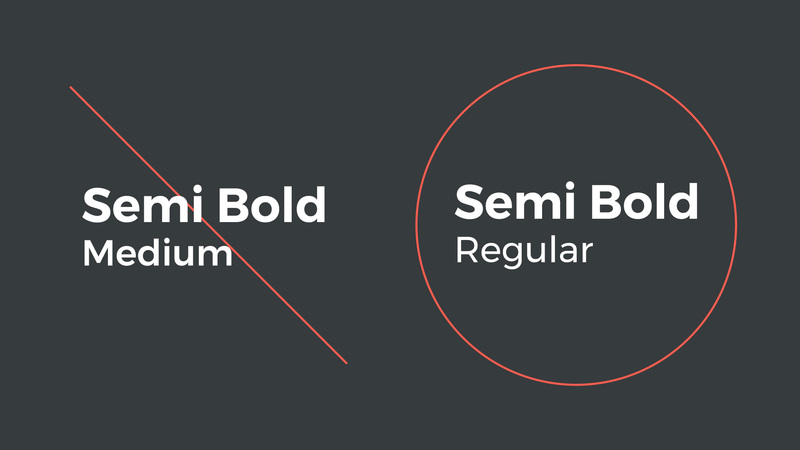 When using different font weights, it’s generally best to skip a weight (for example if a font has Light, Medium, Bold, and Extra Bold weights, we could pair Light with Bold or Medium with Extra Bold). Sometimes weights that are close in thickness are not contrasting enough to tell them apart, which seems “off” to the viewer. Skipping a weight ensures there is enough contrast to tell them apart. 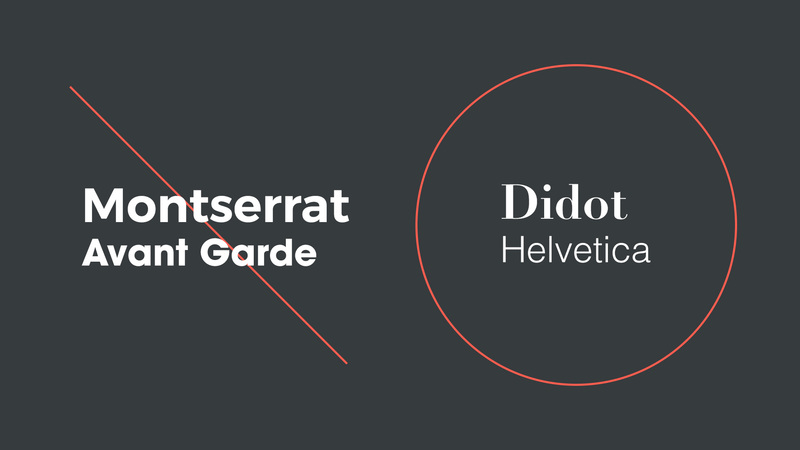 When selecting a font pair for a project, it’s generally best to pair a serif font with a sans serif font. While pairing serifs with serifs and sans serifs with sans serifs can work, if not done correctly they will look too similar and will clash with each other. Pairing a serif font with a sans serif font ensures that they’re easy to tell apart and helps establish a balanced typographic system. At this point I’m sure you’ve picked up on a recurring theme in each of the rules so far: contrast. 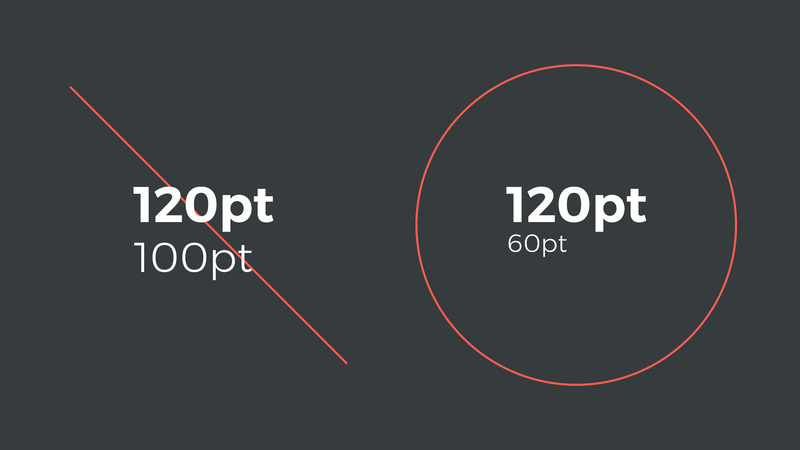 Sizing is yet another area of typography that benefits from this theme. It’s important for readers to be able to visually separate headlines from body copy, and sizing them appropriately is the easiest way to do that. Ensuring that your headlines are at least twice as large as your body copy is a quick and easy way to ensure there’s an obvious delineation for your readers. It’s tempting to head to a website like dafont.com and start checking out all of the fun niche fonts they have, but when it comes to professional typography, it’s usually better to steer clear. Generally speaking, freely available user-made fonts are incorrectly proportioned, poorly kerned, and distracting, whereas professionally designed fonts add credibility, legibility, and beauty to your text. In 99% of instances it’s better to simply stick to the classics. 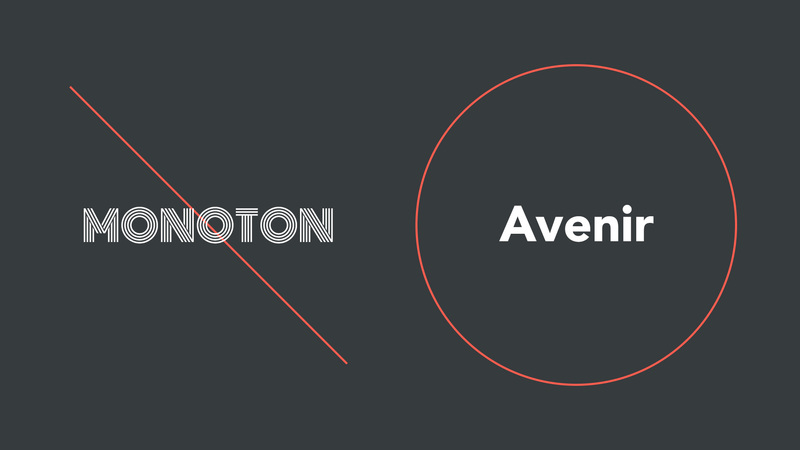 No typography guide would be complete without mentioning timeless typefaces like Helvetica, Din, and Avenir… They’re the classics for a reason, use ’em. 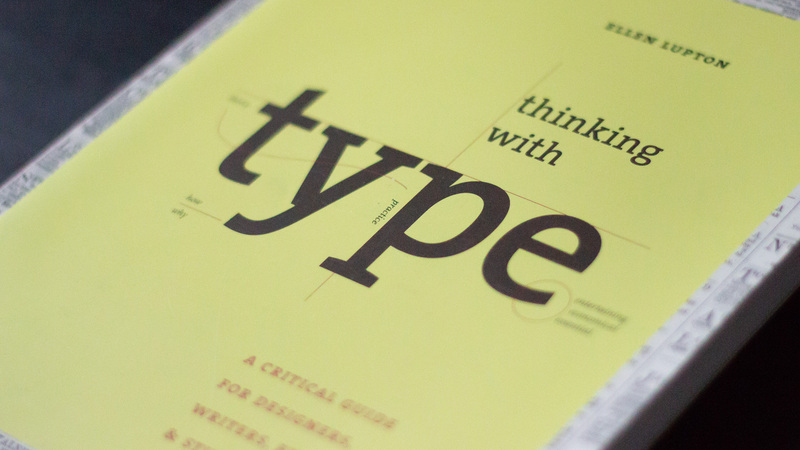 Remember the five rules found in the quick typography guide above to take your next project’s type to the next level. The main takeaway is to create a hierarchy through contrast, and when in doubt, keep it simple. I think the hardest part about typography for many designers is restraint, so if you think it might be hard to read or a little too “out there”, it probably is. Of course once you’ve mastered the basics you can start to bend and break the rules, but until then stick to the fundamentals!